The 36-track collection includes new single Jesus’ Son, Without You I’m Nothing (feat. David Bowie), and plenty of single edits. The two-CD casebound book edition includes a 32-page booklet of never-before-seen images curated by Brian Molko & Stefan Olsdal from their private collections. A Place For Us To Dream is also being issued as a 4LP vinyl box set, or make that two vinyl box sets, since you can choose between a black or pink vinyl. For the moment, the box sets are exclusive to the Placebo webstore, with signed options available for early pre-orders. Does anyone know if the 4LP on Amazon.ca is pink vinyl? Or black? Read conflicting things saying black is only in the UK so wanted to check before ordering. Had no reply from Amazon themselves. I would say that is is highly likely to be black (but I don’t know for sure). Apparently the black vinyl is only available in the UK? …all singles that seem to be missing while album tracks and b-sides are included instead. Have seen Placebo live once or twice, and Grab most of their realeses. Would love the BOXset, but at this stage, will hold off and will no doubt get the CD set. Talk Talk, are one of my fav groups, and yeap there are a few, so to have Placebo cover Talk Talk…………..well, I have ordered the e.p. no questions asked. THANKS Paul, for the headsup, as yet still nothing from the Placebo wesbite, even though on their mailing list!!!!!!! This is a great retrospective. I’ve plumped for the pink vinyl box set and green vinyl EP. 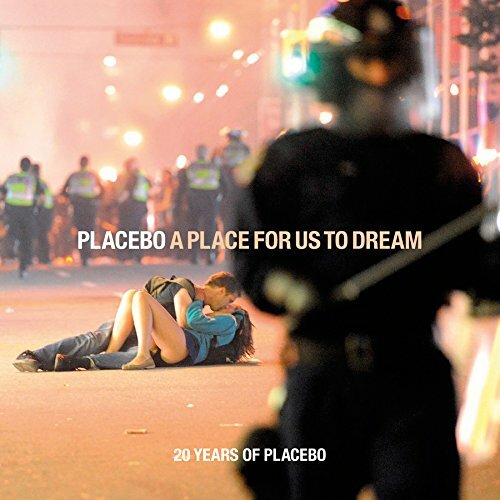 That lp cover is simply tired, empty posturing; fake rebellion with no link to Placebo’s music. The cover was taking after a riot in Vancouver after the Boston Bruins eliminated the Vancouver Canucks in the Stanley Cup. Im from Boston and watched two of the games, in Boston, and the riot surprised me- all this anger of nothing. looks good. like that single edits are there. never really a fan of new-er versions of songs etc. Well, it’s worse when they put album versions on instead of single mixes. So many rock / indie bands do this so this makes a refreshing change. The cover shot was taken during the Vancouver riots back in 2011. Fair play to them for including single edits. The cover is hilarious. And inappropriate. Completely disagree. Fantastic picture – Iconic like “VJ Day, The Kiss”. My wife is a huge fan so I went to order the “deluxe” set which comes in either pink or black. The black is only available in the UK store and there is no shipping option to Canada (or the USA). Why would they limit the black to “not North America”? Seems strange. Eventually someone was going to use that photo for an album cover. I kind of suspect you could find a 100 anarcho-punk bands on Bandcamp that already have. you know the name of the photographer or the picture? Paul, anybody – If you order from an artist’s own store in the UK does it count toward chart positions? Always wondered as I like to help push a higher chart placing if possible. So for an example TMStores are used by Sophie Bextor for a signed copy of her new album in September. If I buy the unsigned copy from Amazon it will count in chart sales I presume, but what about her own shop via TMS? I suspect, Daran, that many of these artists have passed the Chart placing stage. Not that they’re nto worried about it, but that they’d rather get direct sales, direct payment, direct ownership of the data which will allow them to market more efficiently next time round, and the premium price they tend to charge for the signed copies, than a #14 placing in HMV and a drop like a stone two weeks later. As an artist (author rather than musician) I know I’d love to have my books, in hardback, in Waterstones, and in the charts. But I know that my chart placings – against the JK Rowlings and Paula Hawkins of the world – would be miniscule. Plus, I make more money and build a better relationship with my readers (customers) from the eBooks my publisher sells direct to customer on his website, so I (perhaps naievely / egotistically) assume certain ‘Heritage’ acts are adopting similar approaches. Interesting to hear from someone on the frontline of it Derek. I don’t think one copy matters much. Looks like a good follow up to Once More with Feeling. I’m undecided about buying the 2 CD as I own most of the singles with the edit versions. There’s 11 songs on it I don’t have. I’m guessing that the 2016 version of 36 Degrees will be similar to the 2005 live version which was played slower than the album version. I think it was released as a b-side on a single. Looking forward to seeing them live later this year for the first time. Wonder how different “Version 2016” of 36 Degrees is to the original? They did a new version of 36 Degrees on the 2015 MTV Unplugged album, I’m guessing it’ll be a studio version of this, it’s quite good! Placebo are my favourite band, I’ve ordered the black vinyl box set and the green vinyl LP, I’m excited to hear Jesus’ Son. I’ll probably end up getting the CD edition too. nice compilation, love the cover picture a lot! so what new stuff do we get? there is ‘jesus’s son’ on the album and ‘life is what you make it’, ‘autoluminescent’ and ‘song #6′ on the EP. so we get these new songs? Correct! And there’s also a 7-inch of 2 new songs placed randomly in the box sets when ordered from Placebo’s on line store. Only 25 will get these!